Is your ERP delivering on its promise to streamline core business processes or are you saddled with lengthy upgrades, legacy customizations, and complex integrations? Learn how you can harness the power of the cloud to run your business more effectively and lower upfront costs. 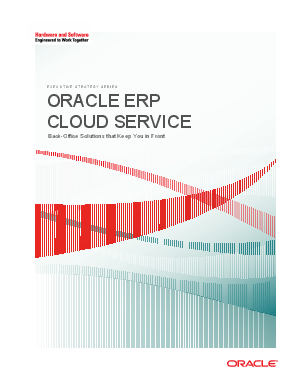 Oracle ERP Cloud Service offers a comprehensive, enterprise-grade cloud that can transform back office operations and allow you to focus on running your business.